Hi PurpleCollection, I got the cards! They are nice! - Wangsa Maju, Kuala Lumpur. 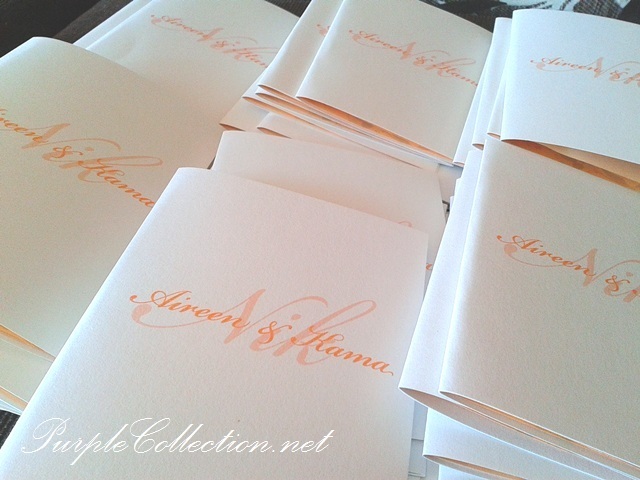 Bride & groom names printed in orange peach colour. To inquire about this boarding pass wedding card, please contact us. Thank you!